These are some photos from a site i got planning on for clients in late 2009. 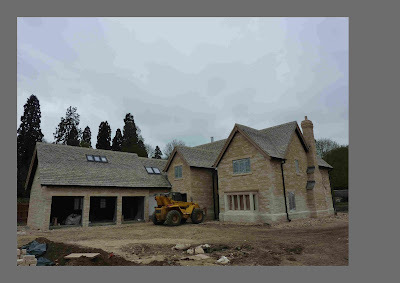 The project consists of 2 houses and the plots are absolutely spot on. They basically sit within the grounds of a Cambridgeshire stately home, surrounded by an existing Victorian walled garden and back onto woodland…. not too bad i would say! 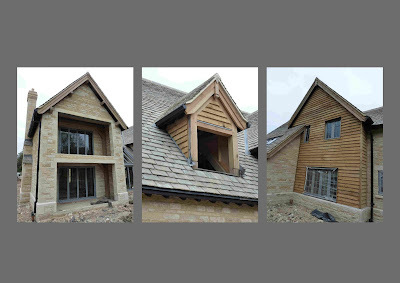 Absolutely great clients though and its a credit to them in terms of their detailing and finishes that are going to make this project a real success. 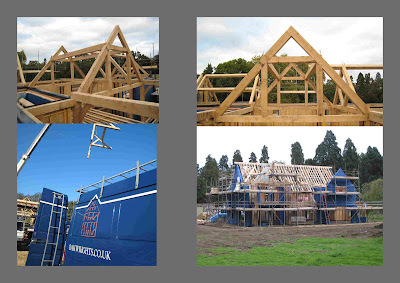 These are photos of the oak frame and Plot 1 but i will soon be posting some more photos to include plot 2 as well….. 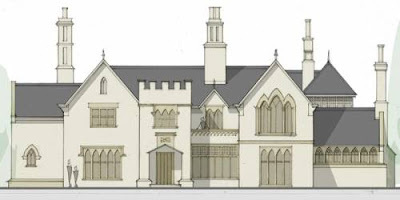 So the house i had to design for that mystery couple was in fact for Kate and Wills! It was part of a design competition whereby i was asked to present what i would have created for the royal couple for their new self build home. 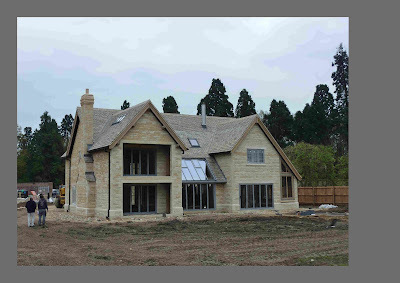 Some would say that this could be the most high profile self build ever done in the UK and i was up against very stiff competition. Meredith Bowles of Mole Architects and also Stephen Mattick who is one of Prince Charles favourite house designers so no pressure then!!! I am featured in there regarding a house i have designed for a certain couple who are just about to get married??! !